The benefits of using established code libraries. A few months ago I wrote about originality and how we need originality to break new ground and take design to places it hasn’t been before. While we need originality I also mentioned that there are certain ways to save some time. Established UX design patterns can be relied upon to get an experience most of the way to being a solid experience. These are tried and true solutions that work most of the time for most users. In addition to reliable UX patterns there are also reliable code libraries that save both designers & developers time. Our team uses Bootstrap and it offers not just a framework to build websites / mashup apps with but also a variety of icons and other UI elements already designed. Designers & developers can always feel encouraged to create everything from scratch of course, but sometimes using established styles is a great alternative. Your users are probably already familiar with these UI styles from seeing them on other sites they visit (Bootstrap for example is used to build a variety of popular sites). 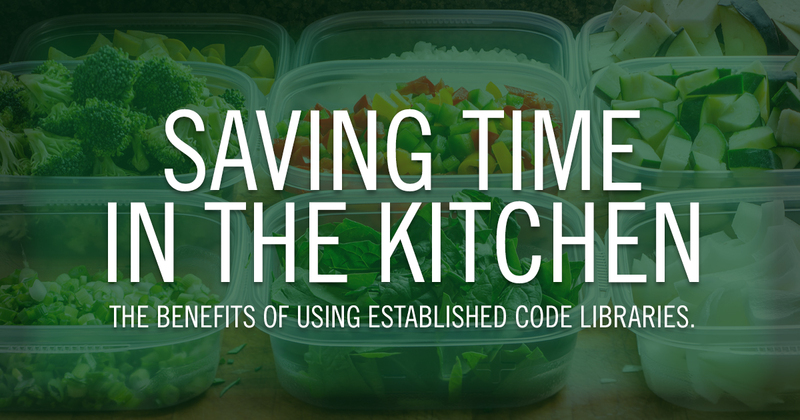 Established code libraries also give you back time to focus on other design/development problems. You don’t have to be completely original at all times. It’s like cooking: you could go to the store and prepare everything from scratch or you could subscribe to a meal service (like Blue Apron) where you cook the food at home but the elements are given to you ready to go. Use originality as a spice rather than as the whole meal. Using established styles & libraries makes for a good user experience but it also saving you time in the design kitchen.